What IS PH AND ALKALINITY? 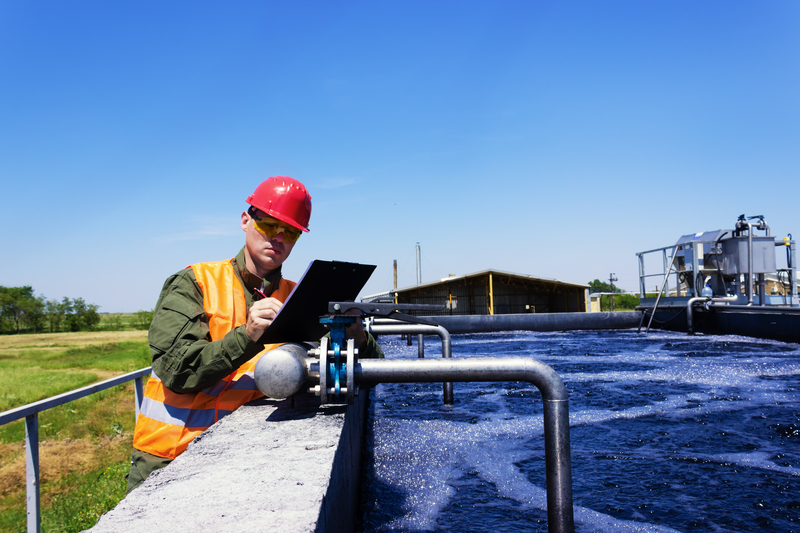 Industrial waste and water sources contain impurities that range in chemical, physical and biological characterizations and depending on what stages or processes the water undergoes we measure how acidic or alkaline water is by using the pH scale. Generally, water is considered neutral when the concentrations of hydrogen ion [H+] and hydroxide ion [H3O+] are the same where the pH scale would read “pH 7”. The pH value is calculated as the negative logarithm concentration levels of hydrogen ions [H+] or hydroxide ions [H3O+] in water. Water is acidic when the concentration of hydrogen ion [H+] is greater than that of hydroxide ion (pH is less than pOH), and basic when the concentration of hydroxide ion is greater than that of hydrogen ion (pH is greater than pOH). Alternatively we can refer to water with pH of 0 corresponds to 10 million more hydrogen ions per unit volume, a pH equivalent of battery acid. A water source with a pH of 14 corresponds to one ten-millionth as many hydrogen ions per unit volume and is the equivalent of liquid plumber drain cleaner – both examples are probably not a desired affluent. Surprisingly enough, alkalinity is often confused with pH as water with a pH above 7 is commonly referred to as alkaline however alkalinity is not the same as pH – water does not have to be strongly alkaline (pH above 7) to have a high alkalinity level. The Water Quality Association defines alkalinity as the quantitative capacity of water to neutralize an acid without causing a significant change in pH levels, called Alkalinity or Acid neutralizing capacity (ANC) – this same resistance contributes to the reaction time of which alkalinity is measured. A titration curve provides us with a visual picture of how titration reaction changes as we add the titrant to the titran. The equivalence point in titration is at which the amount of titrant added is just enough to completely neutralize the analyte solution or in the case of acid neutralization, how much caustic (NaOH) is added to the wastewater effluent stream to pH Neutralize the solution. For example, suppose you start with 25 cm3 of sodium carbonate solution, and that both solutions have the same concentration of 1 mol dm-3. 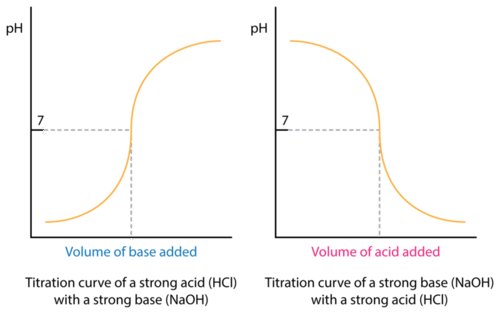 That means we can expect a steep drop in the titration curve to come after 50 cm3 of acid is added – twice the volume of hydrochloric acid to reach the equivalence point because of the 1: 2 ratios in the equation. After understanding the pH and alkalinity composition, base to acid ratio required for neutralization, we must also consider how and/or if agitation can optimize reaction time in the titration curve. How Do Mixers Affect the Reaction Time? Mixing and reaction rates are intrinsically related when pure reactants need to be homogenized at the molecular scale. The yield of desired products from these coupled reactions depends on how fast the reactants are brought together and mixed. For example, pH will contain an acid that can react either slower or faster with an externally added base and vice versa. As mentioned above the effects of mixing, pH and alkalinity reaction ratio rate, and reaction stoichiometry require a reduction of scale and of differences in concentration, which is the very definition of mixing as it pertains to chemical reactions. Imperfect mixing can cause a high-yield of chemical by-product and an imbalance of the stoichiometric ratio rather than a homogeneous mixture of reactants. The Damköhler number is the dimensionless number used to scale the rate of mixing to the rate of reaction for any given mixing sensitive reaction. TM the characteristic mixing time and TR is the characteristic reaction time. In most wastewater treatment plants during the neutralization balance of pH and alkalinity in water, two of the biggest factors considered are whether the reaction is governed by mass transfer or reaction rate – this is dependent on types of caustic or acids used. In general, if a reaction is very fast the reaction is mass transfer controlled or – by mass transfer, we mean any process in which diffusion plays a role. One classical test for diffusion control is to observe whether the rate of reaction is affected by stirring or agitation; if so then the reaction is almost certainly diffusion controlled under those conditions. If the reaction is very slow, the chemical kinetics is the controlling factor. In very slow reactions, the chemical kinetics has a very small impact with respect to the mass transfer rate. This indicates that no molar ratio change for reactants within the mixer is necessary and that strenuous mixing would have no effect on the reaction. When slow reactions occur, the reaction rate is increased when mixing occurs but selectivity is usually unaffected. For fast reactions, mixing has more of an impact on the reaction. These particulars are controlled and monitored using complex technology systems in wastewater treatment plants. From our experience, we understand that not all Neutralization systems are built and configured equally. Wastewater Treatment plants employ either Continuous, Batch or Optimized Batch pH Adjustment Systems that are tasked to adjust the pH of the process stream into the defined acceptable discharge range adding just the right amount of caustic to achieve the end point of the neutralization. These specialized treatment tanks consist of mixers, acid and caustic metering pumps and a pH probe with controllers, level sensors, and a discharge valve. The throughput of a conventionally designed pH neutralization / adjustment system is limited by several major short comings. These short comings pertain to pH probe response time, mixing efficiency, tank design, chemical metering precision, chemical reaction times, and pH control intelligence. For example, pH probe lag is known to introduce errors – sensing pH electrodes may detect an incorrect pH and continue to call for additional reagent after the correct amount has been dispersed. In these cases, sufficient mixing is required to avoid excessive cycling, poor pH control and chemical wastage. What is the appropriate mixing time? For demonstration purposes, let’s for instance look at three scenarios in the pH and alkalinity using the titration curve and how mixing affects neutralization. In the below graph, we have three hypothetical types of water source samples with different buffer levels. 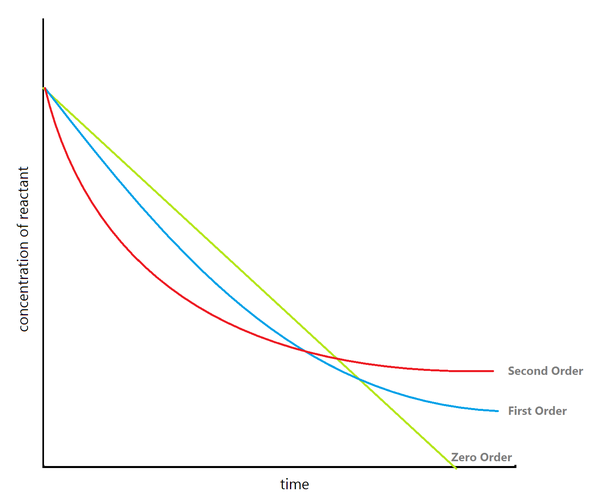 The first titration curve is of low alkalinity water (Zero Order) at 0-80 ppm and yields a reaction rate (TR) of 2 minutes and requires 3 tank turnovers per minute or 3 minutes of mixing time (MT), the second (First Order) is at a medium alkalinity and between 8-300 ppm, reaction time (TR) is 4 minutes so it requires a tank turnover of 5 while the third is at high alkalinity (Second Order) between 300-600+ppm, reaction time (TM) of 6 minutes and needs a tank turnover between 6-7 or mixing time (MT) of 7 minutes to have complete uniformity before the affluent moves onward to the next phase. Each water sample has it’s own duration from which it stabilizes into the equivalence line before caustic or acid additions are required for neutralization. It’s important to note, the rate of ph change depends on chemical reaction times, tank volume, proper mixing, and other treatment procedures. Mixing rates should be well within the buffer capacity time to ensure that quality control is consistent in either Single Stage, Two Stage, Batch or Flow Thru pH Adjustments. Properly configured mixing ensures that the correct level of turbulence and flow enhance rapid and low shear mixing for chemicals introduced.